Remember – the road to your healthiest life may not be a straight path, but it is yours nonetheless... Own it every day and you will define your success. 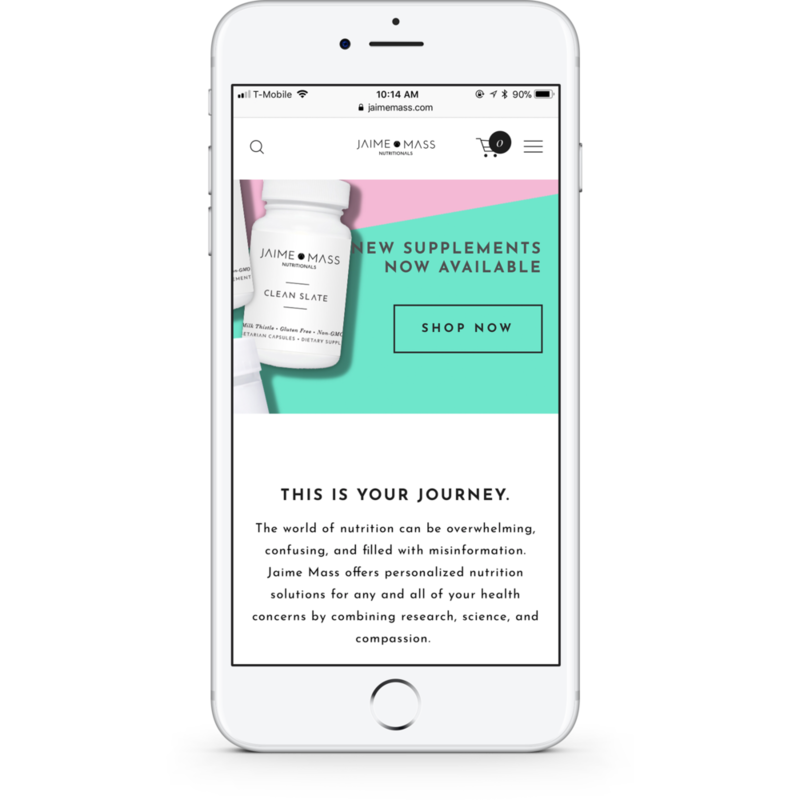 Jaime Mass Nutritionals is a nutrition consultation service and a one-of-a-kind source for nutrition supplements. The founder, Jaime Mass, has made it her mission to not only help people be the healthiest they can be but educate those around her along the way. I created a new brand image for her starting with a logo, a new website & blog, and packaging redesigns for her online shop. The goal here was to be engaging and good-looking, but also embody the reliable, high quality products and services Jaime provides. 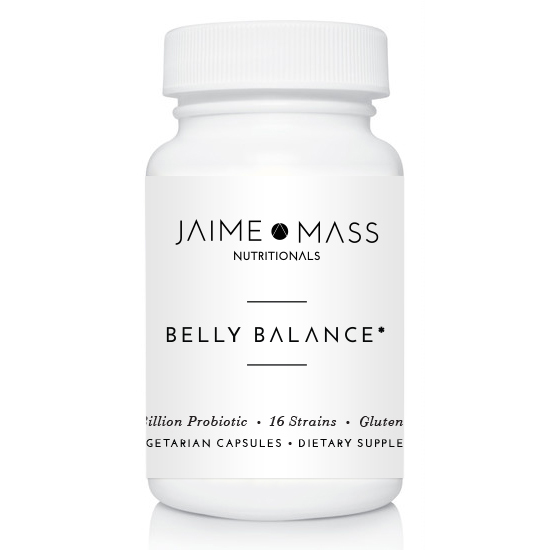 The logo for Jaime Mass Nutritionals is a minimalistic design, similar to her approach to nutrition. 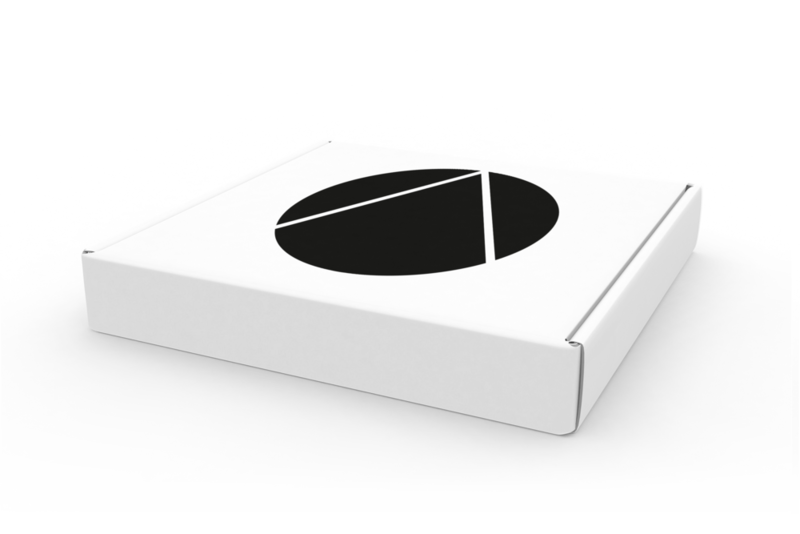 The circular icon is intended to symbolize the food pyramid as well as the peaks and valleys of a journey towards health. 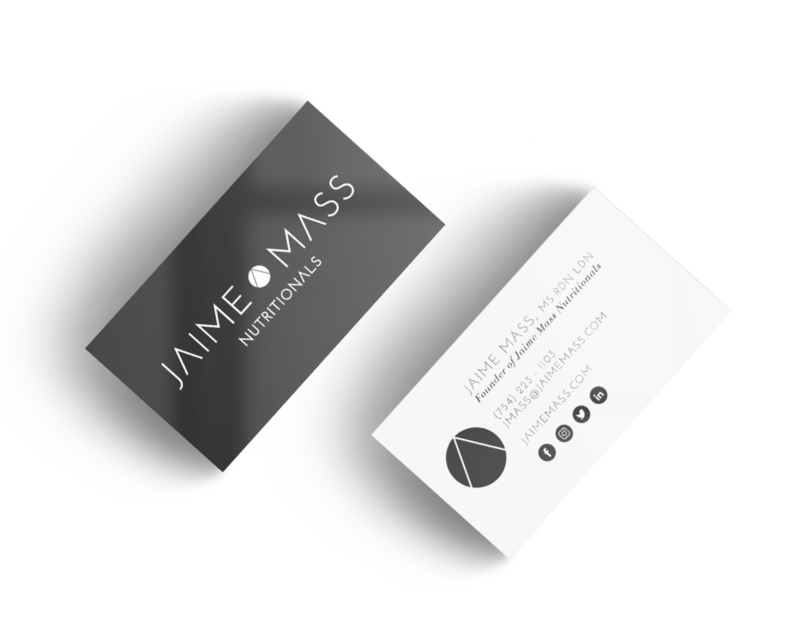 Jaime is constantly traveling and as a virtual nutritionist, business cards on-hand are important to share with the potential clients and partners she meets across the world.